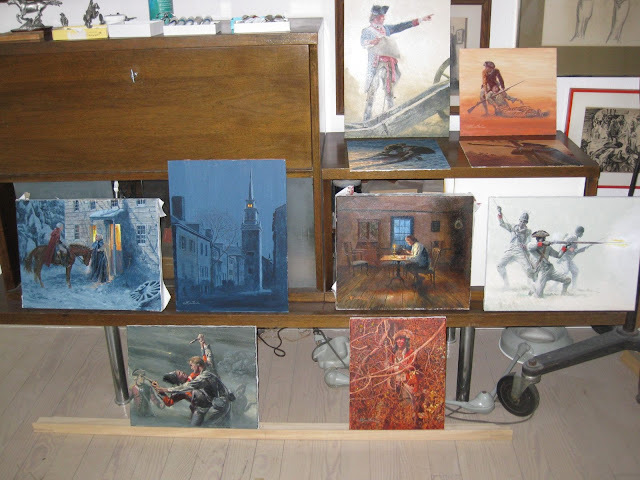 A few people have asked to see what is going on in Mort's studio and what he has been up to lately. Mort has been working on new art for a book on the American Revolution. 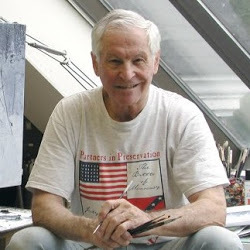 He has been rather productive - creating thirty new pieces in just a matter of months! We thought you would like to see some of them - here are ten small oil paintings. Two of them feature Raynham Hall, right here in Oyster Bay. Glad to see the Wagon Wheel in the foreground is making a comeback!